The Prestashop Return Manager addon is a one-step solution for all return management needs. With advanced features like partial and full return, This Prestahsop RMA provides a full control of Refund, Replacement, and Credit. Having a flexible RMA system on your store provides you the best option to keep your customer get back as well as attract new shoppers to your store. Moreover, it is one of the best customer retention strategies that also works to eliminate buyers confusion by presenting a risk-free shopping experience. Install our Prestashop Return Manager (RMA) addon to your eCommerce store manage all customer return request only just button click. The Admin can customize the Return settings and customer configuration by setting up your return rules and allowing the returns as per your policy. This Prestashop return manager addon allows the admin to process return request even for a single product out of an order of several products in the same cart. The Online store merchant gets email notification when the customer creates a return request. The Prestashop RMA module allows the admin to restore the return request record. The Prestashop product return manager module sent the return slip to the customer via email when the seller approves the return/refund/replacement request. The Prestashop order return manages addon offer an option the PrestaShop store admin to export completed request list and details in CSV format. The Store admin can advanced filters in archive list for fast searching of the old requests. With the help of the Prestashop RMA addon, the admin can create the return/refund/replacement request on behalf of the Customer. 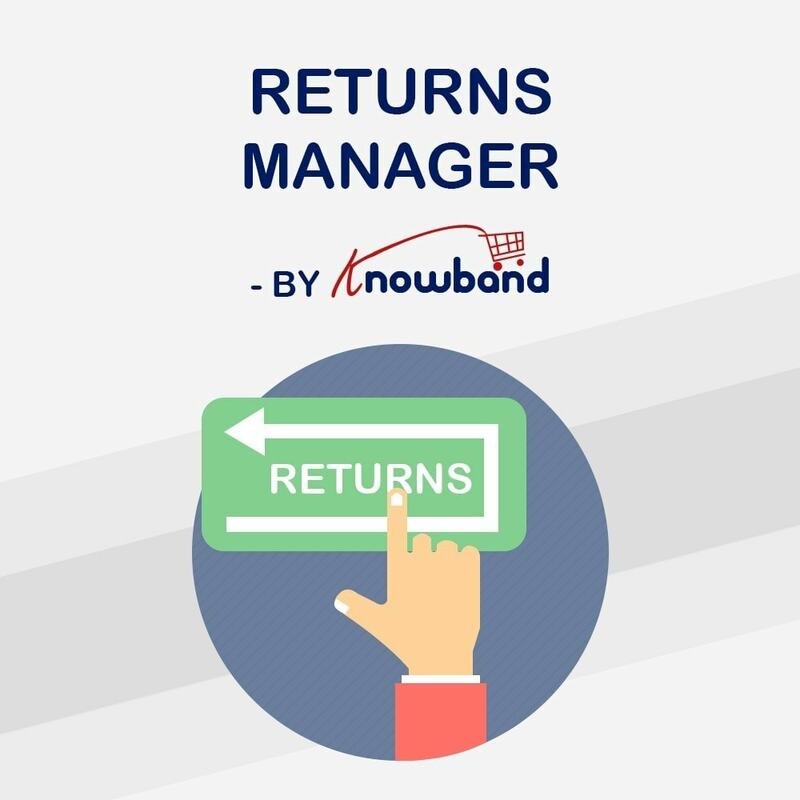 This Prestashop return manager module enables the store owner to create own return policies. The Prestashop product return manager extension allows the admin to create his/her own return reasons to be displayed on front end. The store admin can create the different return policies for each product from the back end of the Prestashop order return manager addon. The Online seller has an option to translate all email templates in Prestashop order refund manager addon admin panel. The Prestashop return manager addon offers an option for the store merchant to customize email template as per his/her requirements. The Prestashop order return manager addon allows the eCommerce owner to adds a "Return" link on header menu bar on the front for a quick return. The Prestashop product return manager module provides an option the customer to place return request for a single product from an order of multiple products. The Prestashop RMA addon allows the Online consumer to place a return request without logged in the account. Just the Email address and order reference number is enough for a logged out user. The customers can see all their orders on the return list. The eligible orders will automatically display return button in the list. No need to edit the files in case you want to customize the look and feel. The Prestashop cancelation module allows the store admin to add custom CSS and JS code to customize the look and feel of the Return Link. The Prestashop return manager addon allows the store admin to add custom CSS and JS code to customize the look and feel of the Return Link. The Prestashop order refund manager addon offers the PrestaShop store vendor to easily customize the return slips. The Admin can add the custom return policies from the backend of the Prestashop order return manager module. The Prestashop product return addon allows the admin to exclude the particular product or category from the return policy. The Admin can add return reasons and choose if shipping cost would be paid by seller or customers. The Prestashop return manager module allows the store admin to change the customer product return/refund request return statuses. The Admin can create a return request on the customers' behalf form the back end of the Prestashop order return manager addon. This Prestashop order refund manager extension multi-store compatible. This Prestashop RMA addon Supports guest checkout too, provide return option to the Guest customers too. Prestashop return manager module sends a notification to the customer whenever admin changes status from the back-end. This Prestashop order return manager addon is SSL compatible. This Prestashop product cancellation module is simple and easy to use. Do not conflict with any other third-party plugins. Prestashop Social messenger chat module integrates Facebook messenger on the Prestashop store. The customers can ask any query and the admin can build the relationship with the customers and increase sales on the website. Provide 3 options to customers - Get Credit, Replace or Refund. Fast processing of return request. This Prestashop RMA addon gets notified the customers whenever admin takes some action on their refund request. eg: Approve, Accept, Change status, Reject and complete. The Prestashop order return manager addon allows the customer to return a partial quantity of purchased product. The customer can return even a single product out of full order. The Online shoppers can view his return status and history in his account section. No need to log in to place a return request. This Prestashop order return manager module offers the customer to a simple and clear interface. Mobile responsive view for the customers. This Prestashop return manager addon is compatible with all the major browsers. You may also like our Abandoned cart module, this addon reduces Abandoned carts on the store and increases conversions. You may also like our Marketplace module, which converts your store into a Marketplace which helps you to increase your customer base and revenue. very good after sale service and support!